Breast cancer strikes fear in most American women-and for good reason. In this country, this deadly disease has hit epidemic proportions. Western medicine advises us to get yearly mammograms and to do monthly self-breast exams in an effort to catch the disease at a relatively early stage. The intent is to try to save lives-which this does. But, these measures are not prevention. They do nothing to protect us from getting this horrendous disease in the first place. Tragically, Western medicine has not made prevention a priority, so few women and doctors are aware of the measures that can offer effective protection. Given these facts, it is not surprising that most women feel powerless in their ability to lower their risk. Flaxseed contains several extraordinary properties that make them exceptional at warding off breast cancer. Their most notable quality-they contain 100 times more cancer-fighting lignans than any other known edible plant! Just two to three tablespoons of ground flaxseeds a day can deter and arrest the growth of breast cancer in many different ways. Estrogen has been directly linked to the growth of breast cancer. The more estrogen a woman is exposed to over her lifetime, the higher her risk of breast cancer is. Aromatase is an enzyme involved in the production of estrogen. If this enzyme is blocked, the level of estrogen in the body will go down and so will the risk of breast cancer. This is exactly how the anti-breast cancer drug Arimidex works. Lignans block the aromatase enzyme too. Researchers at the University of Totonto in a 2005 study reported that lignans inhibit the aromatase enzyme. Lignans are considered a phytoestrogen or plant estrogen. They act as very weak estrogens and may block the estrogen receptors in the breast from stronger cancer-stimulating estrogens in a similar way to the drug Tamoxifen. Estrogen is metabolized in the liver and broken down into three different metabolotes: 2-OH estrone, 4-OH estrone and 16-alpha OH estrone. The 2-OH estrone is considered a "good" kind of estrogen because it does not stimulate the growth of breast cancer cells, whereas the 4-OH and 16-alpha OH estrone do-that's why they are considered "bad" types of estrogen. Lignans influence how estrogen breaks down and help to create more of the "good" kind of estrogen and reduce the "bad". 4. 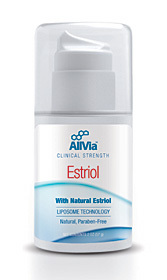 Helps make breast tissue more resistant to the damaging effects of environmental toxins. Researchers have found that the architecture of the breast can vary. The foods we eat have a direct effect on its structure. Certain states are more susceptible to damage by toxins and carcinogens while others are more resistant. When the breast tissue is in a well-differentiated condition, it is the most resistant to damage. In a study conducted by V.E. Ward and Lillian Thompson at the University of Toronto, rats developed the most differentiated breast tissue when fed purified lignans. In a study conducted at the University of Florida and published in 2002, two types of lignans found that flaxseeds called enterodio and enterolactone were found to inhibit the growth of both breast and colon cancer cells. When tumors metastasize or spread to other areas of the body, the chances of surviving drastically fall. Studies show that flaxseeds-high in dietary lignans-may substantially decreases the incidence of metastasis. In a study published in the journal of Nutrition and Cancer 2002, rats fed a diet high in flaxseeds had an 82 percent lower incidence of spreading metastasis compared to the controls. For tumors to grow larger, they must have new blood vessels growing into them to supply them with more oxygen and nutrients. New blood vessel growth- also referred to as angiogenesis- is stimulated by a growth factor called vascular endotheal growth factor (VEGF). Angiogenesis can be blocked if VEGF is inhibited-something the lignans in flaxseeds may do. According to a study published in Cancer Letters in 2002, animals fed a supplement of 10 percent flaxseeds were found to have a significantly decreased level of VEGF. With each menstrual period a surge of estradiol, the strongest and most abundant type of natural estrogen and the one most associated with an increased risk of breast cancer, is released. The more menstrual periods a woman has over her lifetime, the more estradiol she produces, and the higher her risk of breast cancer. If a woman's period, for example, is lengthened from 28 days to over 32 days, the number of periods she will have over her lifetime will be lower and so will her risk of breast cancer. A 1993 study conducted at the University of Rochester found that lignans consumption prolonged the luteal phase of ovulation causing the menstrual cycle to lengthen. All of these anti-cancer effects of lignans add up to big protection. Numerous studies show that women with high lignan levels have low incidences of breast cancer, and those with low lignans levels have a high rate of breast cancer. For example, a study published in 2002 in the journal Cancer Epidemiology, Biomarkers, and Prevention tested the urine of women for lignans-an indication of how much they consume. They found that women with breast cancer on the average had substantially lower levels of lignans than healthy women. In another study published in 2001, Finnish women with high serum enterolactone, a type of lignan, had significantly lower incidences of breast cancer. Every women is at risk for breast cancer. Fortunately, it is a disease where the odds of developing it can be dramatically reduced simply and naturally. Consuming plenty of lignans every day by eating two to three tablespoons of ground flaxseeds-or even more simply-by taking flaxseed in capsule form, can provide substantial protection. And if you have breast cancer, lignans may help you successfully fight your disease and live a long, healthy life. All women can benefit from the simple addition of lignans to their diet. Why wait to be diagnosed with breast cancer to begin? Bioidentical estrogen helps menopause symptoms like hair loss, vaginal dryness and atrophy, hot flashes, anxiety by naturally restoring estrogen levels.